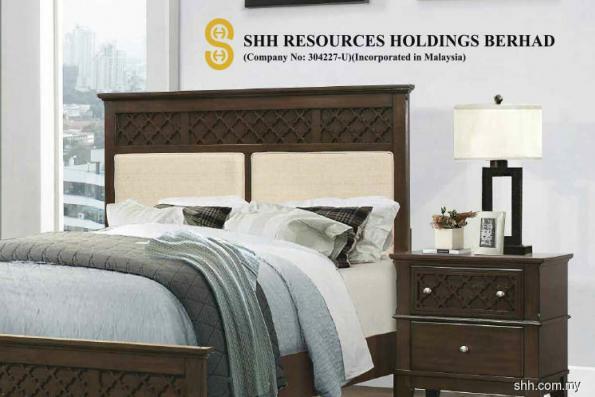 KUALA LUMPUR (April 18): Furniture maker SHH Resources Holdings Bhd is buying a piece of freehold residential land in Kajang, Selangor, measuring 2.02 ha or five acres for RM10.24 million, making its foray into property development. In a filing with Bursa Malaysia, SHH said its 80%-owned subsidiary Rampai Pesona Sdn Bhd has entered into a sale and purchase agreement with Rising Charm Sdn Bhd for the land acquisition. SHH disclosed that the property is rectangular in shape, approximately 25 km south-east of Kuala Lumpur and 5.8 km south-east of the Bangi town. “The property is accessible via the SILK Highway, Jalan Reko and Persiaran KWSP onto Jalan Bistari. The property is near to several learning institutions, including Universiti Kebangsaan Malaysia and the German Malaysia Institute. The surrounding area comprises several completed and ongoing housing development schemes,” SHH said. Rampai Pesona intends to convert the land for residential development, the filing said. This is in line with the group’s strategic plan to undertake other viable investment opportunities, so as to enhance shareholder’s value, in view of the current competitive furniture industry, SHH added. It is worth noting that SHH made its first quarterly loss in its second quarter ended Dec 31, 2017 (2QFY18), since 3QFY13. For 2QFY18, the group incurred a net loss of RM3.69 million, versus a net profit of RM1.94 million a year ago (2QFY17), despite revenue having grown 6.47% to RM30.26 million, from RM28.42 million in the same timeframe. The weaker financial performance was due to higher raw materials and labour costs, while the strengthening of the ringgit against the US dollar resulted in higher loss on foreign exchange, as well as additional operational costs of the Australian subsidiary, SHH added. SHH’s share price traded unchanged at 82 sen yesterday, giving it a market capitalisation of RM41 million.